Scientists still debate the magnitude of the 1906 earthquake that leveled much of San Francisco and surrounds, 110 years ago today. Long referred to as magnitude 8 or greater (using the now retired Richter scale), more recent analyses peg it at 7.9 or even 7.7. Suffice it to say that the Great San Francisco Earthquake (actually centered off of present-day Daly City) deserved to be called "the big one." The rip along the San Andreas fault stretched for 296 miles. 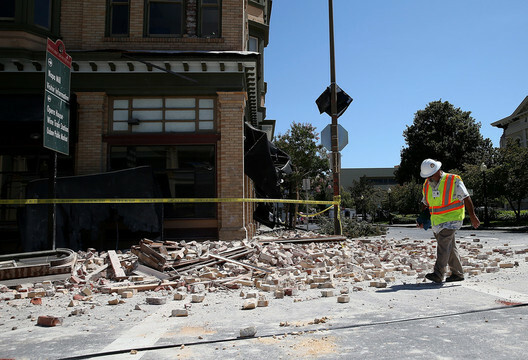 By comparison, the 2014 South Napa Earthquake was a 7-mile hiccup. 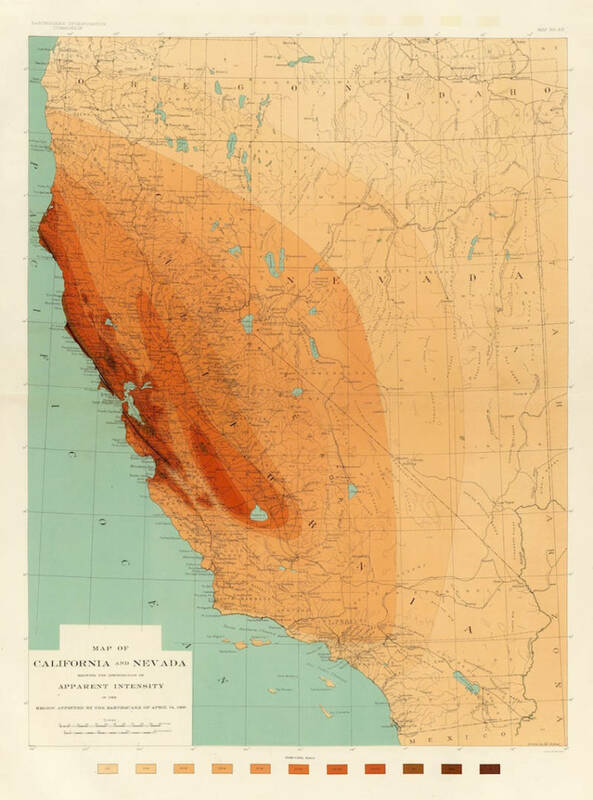 The 1906 quake forever changed the Bay Area's landscape and culture -- but that "slip" of the San Andreas fault was also a game changer in the field of earthquake science. "At the time of the 1906 earthquake, we didn’t understand that earthquakes occurred on faults," marvels Richard Allen, who directs the seismological lab at UC Berkeley. "It seems unbelievable that we wouldn’t understand that at that time but we didn’t." Recent years have seen accelerating advances in the science, including a major breakthrough: the development of earthquake warning systems. Starved of funding and caught up in debates over its design, California’s statewide ShakeAlert system has just advanced from testing into the pilot phase, lagging warning systems that are already fully deployed in Japan and Mexico. ShakeAlert sends warnings to the personal computers of subscribers by sounding an alarm klaxon and by giving a countdown to the shaking with its estimated intensity. It's based on the network of in-ground sensors known as the California Integrated Seismic Network, which detects deep underground rumblings in fault zones. Currently the senors are clustered near major metropolitan areas. Scientists aim to double the number of sensors to improve the accuracy of the system. But adding stations is costly and time-consuming. With relatively scant funding, it's been slow going. Scientists recently gave the system a boost by launching the "MyShake" network, a crowdsourcing approach harnessing the technology in cell phones. Globally, more than 100,000 people have downloaded the app (which is only available for Android phones) and registered with the network, including about 12,000 users in California. So far, the smartphone network is only gathering earthquake data—almost overwhelming the Berkeley seismological lab's ability to sift through it. "It's crazy," says Jennifer Strauss, the lab's external relations lead. "There's a lot of data coming in." The plan is that eventually, that data will be instantly turned around into actual quake warnings on your phone, seconds before the shaking starts. "I’m really hopeful that five years from now, everyone will have earthquake early warning," says Allen. "I think that’s a realistic goal. I would like it to be sooner. If the funding comes in faster it’ll be sooner. Allen says money is the biggest obstacle. The federal government recently kicked in two rounds of funding that will help. Building out the system and keeping it running will cost tens of millions of dollars. The original state law authorizing the system contained no funding. As for the next “holy grail” of seismic science—actually predicting when individual earthquakes will occur—most scientists agree that is still decades away. Explore earthquake basics with new explainers from KQED and the California Academy of Sciences.